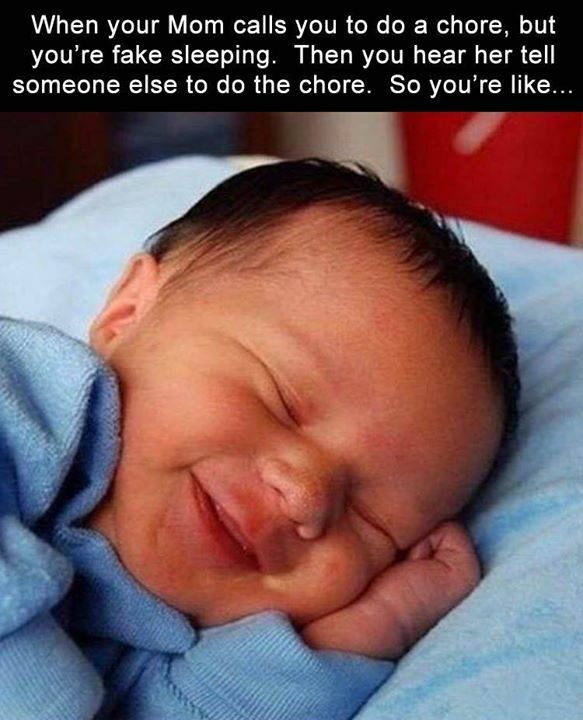 WHEN YOUR MOM CALLS YOU TO DO A CHORE, BUT YOURE FAKE SLEEP - ProudMummy.com the Web's Community for Mums. Leah Ryan this is so u!!! Mellow Terry remind you of anyone? Stuart Adrian Palmer this is you!!!!! Imogen Bell who’s this ?? Arianna Christie this is you!!!!! Branon Hole this is you!! !